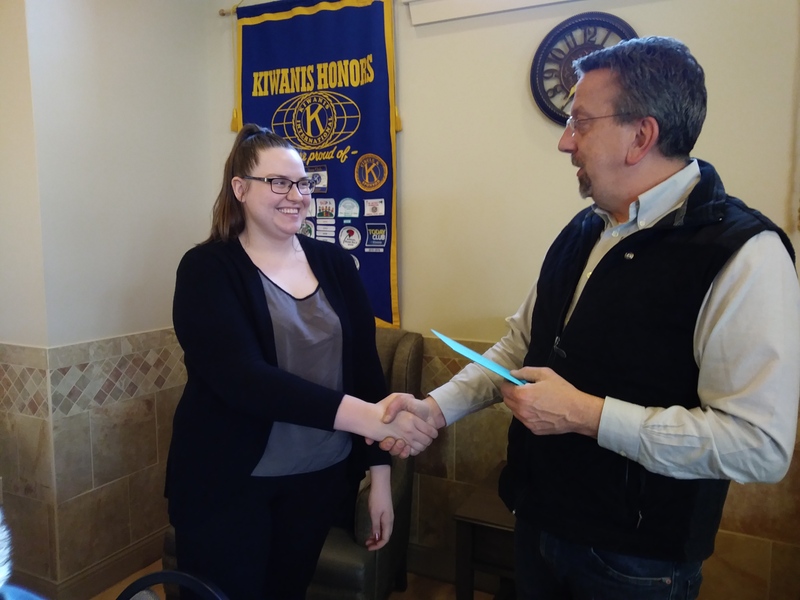 Samantha DiPippa, a student at Clarion University and President of Circle K, was awarded a $500.00 scholarship from Clarion Kiwanis on Monday night. She is pictured with Randall Stom. Submitted by Renee Vowinckel.